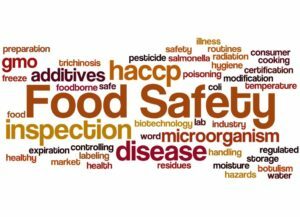 This firm is starting to feel a little redundant in its warnings to its valued readership regarding foodborne illness outbreaks in the United States, but knows the important thing is the health and safety of fellow consumers. Health officials in these United States have issued even more warnings about foods found as culprits of serious illnesses. This firm resides in the Midwest and so knew that a population of its blog devotees shop at Hy-Vee Grocery Stores. The stores’ Spring Pasta Salad, sold in 8 states, has been found to infects unsuspecting consumers with salmonella illnesses. The states include Iowa, Nebraska, South Dakota, Minnesota, Illinois, Missouri, Kansas, and Wisconsin for illness reports and Spring Pasta Salad locations. The packages were made between June 1, 2018 and July 13, 2018 and have expiration dates of June 22, 2018 and August 3, 2018. If you have any of this batch, you are warned to throw it out immediately. Salmonella illness symptoms will generally start 12 to 72 hours after infection and symptoms can last 4 to 7 days and be dangerous for more compromised populations. Salmonella problems have also been found in raw turkey products, without the Centers for Disease Control and Prevention even narrowing down the culprit to a specific brand. The salmonella in turkey products has caused about 90 to be sick thus far and the turkey products have been purchased in a variety of locations. Two of the sicknesses even occurred in folks living in a house in which the pets were eating raw turkey pet food. This would make a person really rethink eating turkey from raw turkey products for the time being. Hopefully the CDC and U.S. Department of Agriculture can narrow down the culprits by Thanksgiving! Flowers Foods has announced that Swiss rolls might also be contaminated with salmonella, with these products being sold under the brand names of Great Value, Market Square, Baker’s Treat, Mrs. Freshley’s, Food Lion, and H-E-B. There is also a recall for the same reason of Captain John Derst’s Old Fashioned Bread, which is distributed in the Carolinas, Georgia, Florida, and Alabama. This firm has also warned about a number of other products also continuing to cause foodborne illness problems, including prepared cut melon and vegetable products, McDonalds salads, and Kellogg’s Honey Smacks cereal. If you or a loved one has been sickened by any of the above, contact your doctor immediately and do not hesitate to contact Inserra Kelley Sewell, Personal Injury Attorneys where our compassionate professionals can advise whether you may be entitled to compensation for your injuries. Be careful consumers, as it is getting ugly out there.